This year, the anniversary of the annexation of the Crimea falls in the middle of the presidential campaign in Ukraine. It was not a reason for joy for the candidates as it is not a good topic to be used in the campaign. Part of them would have to defend their decisions made in February and in March 2014 (and is concerns Tymoshenko even more than Poroshenko). The others do not want to touch the issue because they are more or less associated with Moscow (Medvedchuk, Boyko). The rest does not see any chances for electoral points in the matter of the Crimea. At the time of the fifth anniversary of the annexation of the Crimea, Yulia Tymoshenko’s statement which defends her support for the decision rejecting armed resistance in the Crimea caused the greatest agitation. The candidate for the presidential seat repeats that at that time Ukraine had neither military nor diplomatic measures to resist the armed Russian invasion. According to her, Ukrainian secret services possessed information that Russia was only waiting to hear about the first killed Crimean dweller or Russian soldier to start a regular war with Ukraine throughout the whole front-line. Tymoshenko wants to reject the Minsk Protocol. She claims that the peace process in Minsk is harmful because it is happening between separatists in Donbas and “people who are not Kiev’s officials”. And the fact of ignoring the issue of the Crimea in the process is called by Tymoshenko “high treason”. The last statement is definitely addressed to Petro Poroshenko. The President it the most politically responsible person for what happened in the Ukrainian policy towards the Crimea in the last five years. And little has happened – because Kiev is constantly lacking measures. What Ukraine managed to achieve in the last five years is collecting declarations of almost the entire international community that the Crimea is a part of Ukraine. It is also included in all important documents of G-8, NATO, EU, European Parliament and UN. In the Crimean Declaration of July 25, 2018, the Secretary of State Mike Pompeo writes that the USA jointly with the allies, partners and international community reject the attempt of the annexation of the Crimea by Russia and commit themselves to follow such a policy until the territorial integrity of Ukraine is regained. 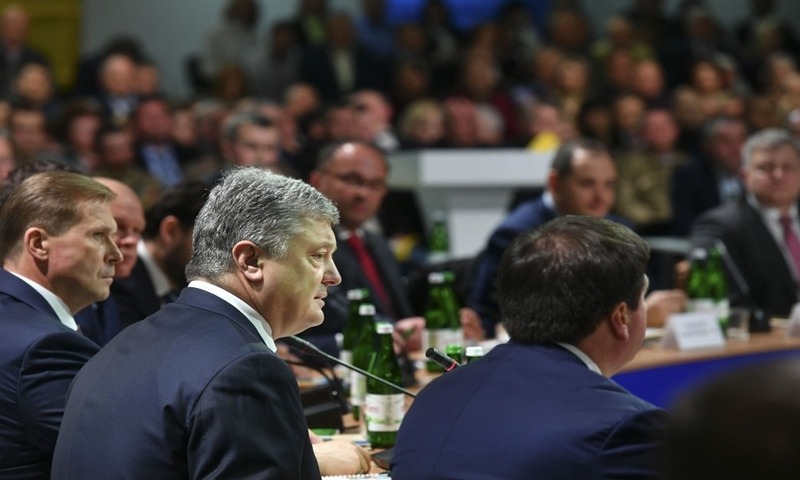 On March 17, while talking about his plans in the case of re-election, Poroshenko assured that the Crimea would be reclaimed by Ukraine. But, of course, he did not say when and in what way. 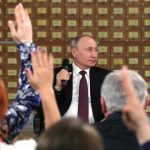 Five years after the annexation of the Crimea this topic does not occur in election programmes of part of candidates at all. But all Ukrainian politicians are in unison in one thing: it is not possible to regain the peninsula by force. Political and diplomatic methods are prevailing and hope for help resulting from the Euro-Atlantic integration. But there are differences as well. While Poroshenko announces changes in the Constitution and granting autonomy to the Crimean Tatars, pro-Russian Viktor Medvedchuk is against that idea and he does not include the issue of regaining the Crimea under the Kiev authority in his campaign. In turn, Yulia Tymoshenko was among the first ones to declare the necessity to return to the Budapest format in the matter of the Crimea and Donbas – asking for help the guarantee countries of the memorandum on the territorial integrity of Ukraine. In general, candidates avoid the issue of the Crimea because it is very inconvenient, in contrast to Donbas. And in the matter of the Crimea little can be done except for stressing that the Crimea belongs to Ukraine and Russia claimed the peninsula by force and in an unlawful way. Nobody would dare to say that the issue of the status of the Crimea should become an element of negotiations with Moscow. Even such a suggestion would be damaging for a Ukrainian politician. Meanwhile, authorities in Moscow underline at every opportunity that the Crimea will remain a part of Russia forever. And neither sanctions, nor pressure, nor a threat of military conflict will change that. PM Dmitry Medvedev talked about this on March 18. Since the very first days of the annexation, Russia put much effort to bind the peninsula to the Russian Federation – mainly militarily, but also by infrastructure. 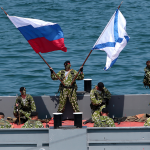 At the occasion of the anniversary, the Commander of the Southern Military District of Russia, General Aleksandr Dvornikov announced the reinforcement of the Black Sea Fleet with 13 new vessels and sailing units. In turn, President Vladimir Putin took part in the official inauguration of two new blocks of power plants in Sevastopol and Simferopol in the annexed peninsula by Russians. Dmitry Peskov, the spokesman of the Kremlin, announced that functioning of two power plants would mean “full energy self-sufficiency of the Crimea”. Putin's Ultras Say "No" to the "Regime"